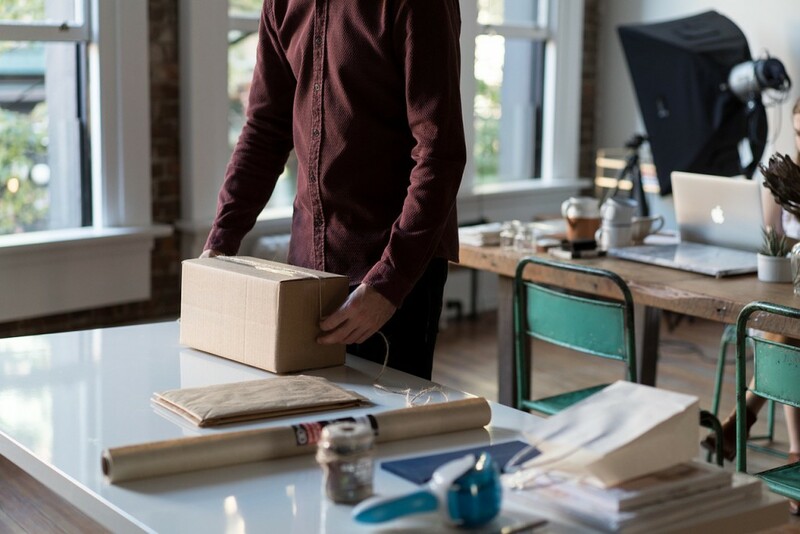 Once you have made a sale, you don’t have to pay a thing to ship it! One option for Poshmark boxes is to reuse boxes or envelopes from packages that you get. This absolutely works, but may not look quite as professional. There will probably be leftover bits of tape or tears on the box and it may already be dented in several spots. Another great option is to order free Priority Mail boxes from USPS. It’s so easy! Just order them from the USPS Postal Store and they will be shipped straight to your door. You don’t have to enter a credit card number or anything. This works because the shipping labels that Poshmark generates are all for Priority Mail. Just be careful that you do not use Flat Rate or Priority Mail Express boxes. Those have higher shipping rates and cannot be used with Poshmark labels. I use the Priority Mail Box – 1096L boxes for the majority of my Poshmark sales. They are perfect for a single top or small accessories. There are also larger boxes for shipping bulkier items like sweaters, jackets and shoes. Or when someone buys multiple items at once in a bundle. For these orders, I use the Priority Mail Box – 4 or the Priority Mail Shoe Box. Make sure you order your boxes before you need them so you will be ready to ship sales quickly. Buyers can see the average time that it takes you to ship sales in your profile and you want that number to be as low as possible. And the sooner the buyer gets their package, the sooner you get paid! Now you learn something new everyday. I’ve been paying for postage supplies which has been added to my costs all the time. When you run an online business and you want to offer the best possible prices, every penny you can save matters. This will definitely help. Thanks for the advice. The only catch is that these boxes are only eligible to be shipped via Priority Mail, but if you already use that then they are fantastic! when someone likes 22 of your items and you want to bundle them to offer a lower price. can we offer the person multiple bundles to cut down on shipping fee? ?